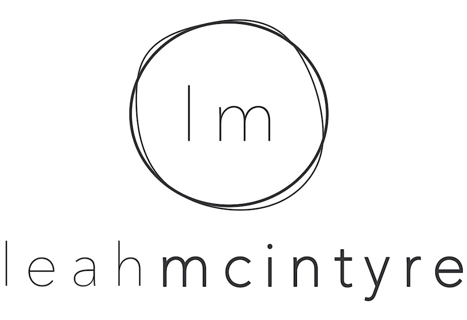 Leah McIntyre creates sought after pieces of art -- jewelry that's at once feminine and reflective of the organic beauty of the earth around us. With a wisp of gold, glimmer of silver and anchor of gemstones like labradorite and lapis, her pieces empower the wearer with confidence in a timeless beauty that's rooted in nature, while also staying wholly elegant in a modern way. herself that her elders encouraged by making her a treasure chest of costume pieces. Leah went beyond wearing them, though, to taking the pieces apart and reconfiguring them with wire from her grade school science projects. By fifth grade, she had her own business making friendship pins and beaded necklaces with "anything I could get my hands on," she says. As her knowledge in the craft deepened -- and as friends continued requesting pieces from her to wear -- her materials and techniques became more sophisticated. Today she marries her desire for perfection in craftsmanship with the organic look and feel of her materials and designs inspired by long walks in the Tennessee woods near lakes and streams or from trips to the rainforest and coasts of Costa Rica. "I love the shapes. There's so much design in nature," she says. "I enjoy working toward that perfection in craftsmanship along with the imperfection of the organic feel and look of artisanal jewelry. You can see the hammer marks, but you also see that time and love went into it." 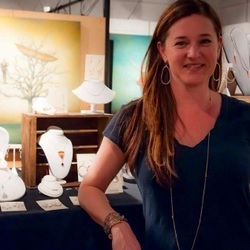 From posh Belle Meade to bohemian East Nashville, women seek out Leah's designs online, pop-up shows, the Omni Hotel's gift shop or her neighborhood's galley, Art and Invention in East Nashville's Five Points. Indeed, it's the artistic inspiration that calls Leah to her workspace each day. "My initial thought is the art, but in the end, I want women to feel beautiful and confident as they move in the world," she says. "When you put on that final piece to complete the outfit, it's the sparkle that helps reflect how you shine from the inside."